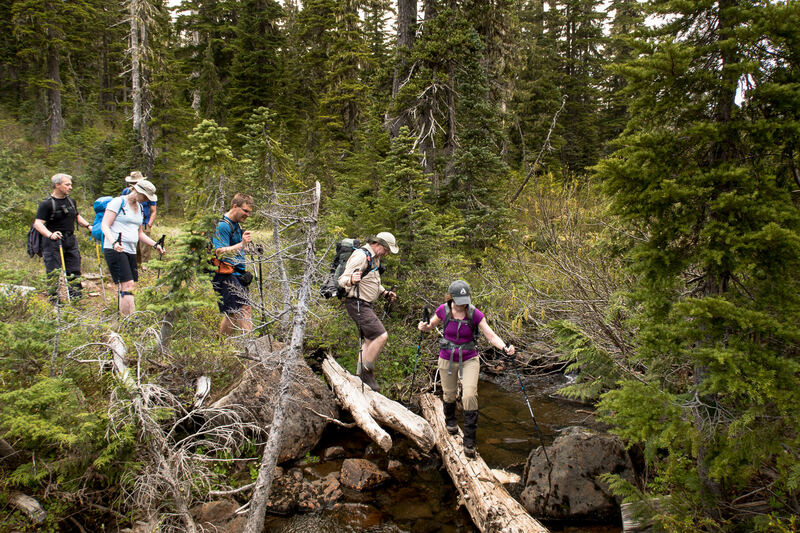 Strathcona Park is loved by many for the diversity in mountaineering it offers. It has something for every type of adventurer: short & long day trips, traditional routes, climbing, and mountaineering. If one is looking for adventure in the Alpine they can find it here. Sunday May 14th I led a group of 9 Island Mountain Ramblers and guests on a long day hike through a portion of Strathcona. We hiked from Paradise Meadows, starting at Raven Lodge through the rolling low alpine meadows, beside many ponds and lakes and lightly treed regions to Wood Mountain, frequently called the Forbidden Plateau. Paradise Meadows is by far one of the most visited places in the park. It is the launching point for many day hike and multi day adventures. Many hikers will be familiar with the Wood Mountain/Forbidden Plateau Parking Lot as it is the usual launch point for hiking Mount Becher, Boston Ridge, Mount Drabble and more. This is my third hike on this route but the first time I appreciated the historic nature of the hike. The hiking club to which I belong, Island Mountain Ramblers, have a lifetime objective hike that I’ve yet to complete, Mount Becher to Mount Jutland and much of the day’s route is included in this section of the trail. 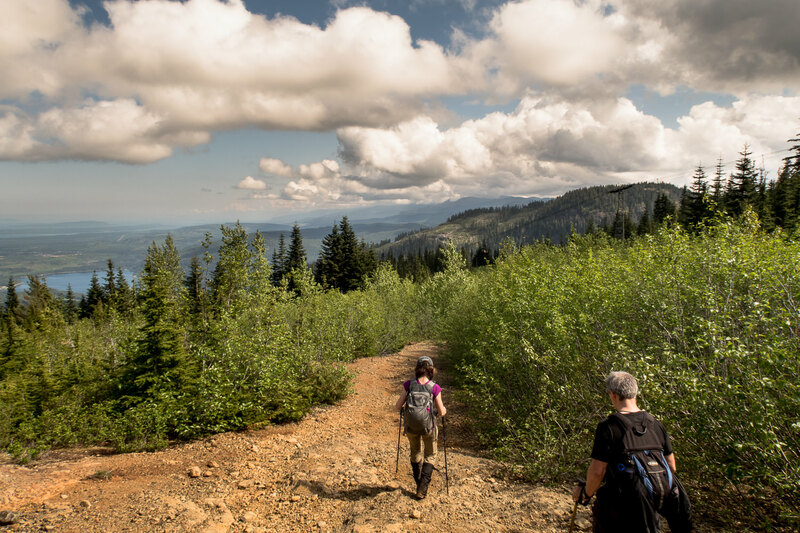 I suspect the objective has a lot to do with the fact the trail was the main route to the region of the park where, now, many people adventure to familiar mountains like Mount Albert-Edward. Lindsay Elms has some information on his site. This trip is possible in one long day but also makes for an enjoyable overnighter or even a multi-day trip. Backcountry camping at the variety of lakes seems somehow idyllic, bring bug-spray. 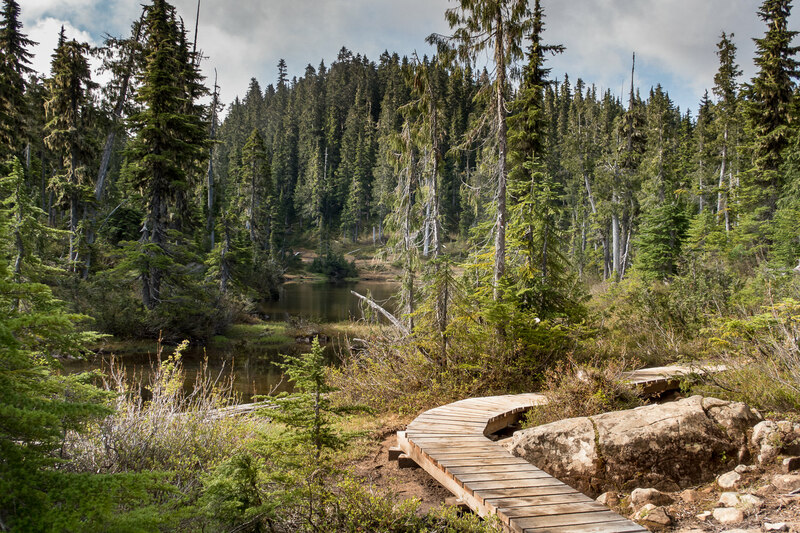 My preferred direction on this trail is from Paradise Meadows -at Raven Lodge- heading southeast to Wood Mountain, it trends downhill and saves several hundred metres in elevation gain.The route is easy to walk and I qualify this as simple hiking with no technical ability required. The route is marked and mostly well booted or even groomed in the regions close to Paradise Meadows. However, there are several forks in the trail and it is important to have a map with you and to have navigation skills. Our adventure started at Paradise Meadows by Raven Lodge, the most developed area of the park and wandered through the meadows on the boardwalk. As you hike southeast the route becomes less and less traveled. Before long there is no boardwalk and eventually no bridges, though the water crossings are small; I’ve always been able to hop over the two or three little crossing. The forecast was perfect for hiking. We took 8 hours to hike the route stopping for lunch above Johnson lake. At lunch, Monica pulled out her grandfather’s map. The map was copyrighted 1949 and included the route we were walking. Her grandfather followed this route in 1953 on his way into Mount Albert-Edward. It was great listening to the story and it really made me consider the nature of the various trails I have hiked through the park. After lunch we carried on, passing beside lakes and through Mckenzie Meadows. The trail doesn’t travel over any summits but it does give access to several peaks including Indian Head Mountain, Mount Drabble and Mount Becher. I wonder how many hikers have hiked sections of this trail but never known where that other less traveled route will take them….I suggest they find out. Have you hiked this route before? Do you know more about the history of this hike? Leave me a reply if you have done this hike or if you do it after reading my post. View the Full album of photographs ….